Understanding this divisiveness only serves to make the unity of the colonies, the American Revolution, and the formation of a permanent government more astounding. Several factors—most notably, political developments in Britain and the colonies, the rise of political philosophies such as Liberalism and Republicanism (Whig, Country), and an anti-Catholic, competitive Protestantism—allowed the colonists to transcend their differences and defeat the world’s strongest empire. This essay explores those transcendent factors that precipitated the American rebellion. It especially notes the importance of the evolution of the historiographical nomenclature. These political events in England affected the American colonies in two ways. First, the political and economic relationship was defined and set until the 1760s. Before the Glorious Revolution, England had attempted to control the political assemblies and governments of the individual colonies, and it had attempted to subsume the colonial economic system under its mercantilist umbrella. From the Glorious Revolution and to the 1760s, by design or not, England failed to exercise political and economic control over the colonies; it was a period of “salutary neglect.” Naturally, this would adversely affect American attitudes when the English decided to enforce the mercantilist and political laws in the 1760s. According to many recent scholars—the most prominent being the so-called “Neo-Whig Historians,” Bernard Bailyn, Gordon S. Wood, and J.G.A. Pocock—the indirect effects of this time period, specifically the revival and refinement of the classical political philosophy “Republicanism”—a response to both English political chaos and stability—would affect the Revolutionary generation in even more important ways than the direct actions mentioned above. Prior to the 1950s, few if any historians gave Republicanism much heed. According to one historian, George M. Dutcher, Republicanism was “clearly irrelevant to the discussion of the origins of republican institutions in America.” In the late 1940s and 1950s, though, several historians discovered influences on the Revolutionary generation that they could not classify as Lockean liberal, then considered the ruling paradigm in American history. In the late 1950s, Caroline Robbins explored the ideas of several Whig intellectuals who had been influenced by the Republican thought of John Milton, James Harrington, and Algernon Sidney, including Robert Molesworth, John Trenchard, Thomas Gordon, and John Toland in her book, The Eighteenth-Century Commonwealthmen. Unlike later scholars, Robbins differentiates the political division by party name, Whig and Tory. She concludes that while the “Commonwealthmen,” or radical Whigs, did not affect England, their thoughts remained potent in the American colonies for a half century and, ultimately, shaped the Revolution. In 1965, the annus mirabilis for the study of Republicanism, J.G.A. Pocock published his brilliant article, “Machiavelli, Harrington, and English Political Ideologies in the Eighteenth Century,” and Bernard Bailyn published his Pamphlets of the American Revolution. 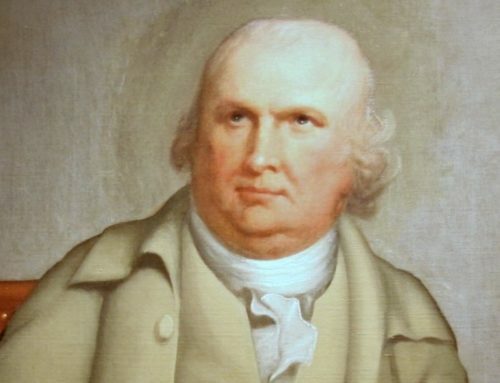 The former helped clearly define classical and renaissance Republican thought as interpreted by the English Republicans, and the latter clearly tied Republican thought to the American Revolution. Since the mid-1960s, one could reasonably argue that Republicanism has become one of the most important concepts in American historiography. Though Republicanism has become a major concept in American history and some historians have embraced a “republican synthesis,” its exact definition remains elusive. Pocock, Bailyn, and Gordon S. Wood each emphasize different points as important to the notion. Preferring “civic humanism” to republicanism, Pocock offers the most classically-oriented definition of the three. In fact, he goes as far as to call the American Revolution, “the last great act of the Renaissance.” The New Zealander corrects Robbins, changing her political dichotomy of Whig and Tory to Court and Country. This new taxonomy is important when one considers that the eccentric Bolingbroke, an opponent of Walpole, was a Tory. Hence, he fits nicely into the Country-Court breakdown, but not Robbins’s Whig-Tory split. Pocock defines Court as a “hydra-headed monster . . . whose other heads were Placemen, Pensioners, National Debt, Excise, and High Taxation” as well as the standing army. The Court intentionally used the powers of the state–the debt and taxation–as patronage to influence Parliament, distorting the “good” in civil authority. The Country, made up of “the independent gentlemen,” loyal to themselves, each other, and, of course, their country, stands in opposition to the Court. Republicans such as Andrew Marvell desired a Parliament that met briefly but frequently, preventing collusion and corruption. Anticipating the future James Madison, Marvell advocated “faction,” “balance,” and “equilibrium”–all parts of the “ancient constitution”–within government. The Country men believed that all power was evil, and those holding power could easily be corrupted. Drawing heavily on Harrington’s thought in his Oceana (1656), Pocock finds that Harrington and his followers considered the best Republican an independent land-holder, unafraid to bear arms with his militia to defend himself, his family, his property, and his country. In the Harringtonian world, men were either free or slave. The Harringtonians drew upon the Greek idea of citizenship and the Roman (Polybian) idea of mixed government and corruption, both coming through Machiavelli. Bailyn and Wood present a much less abstract Republicanism. Both focus considerably on the libertarian fear of power. Bailyn gives special weight to the thought of Cato–John Trenchard and Thomas Gordon. “The theory of politics that emerges from the political literature of the pre-Revolutionary years,” writes Bailyn, “rests on the belief that what lay behind every political scene, the ultimate explanation of every political controversy, was the disposition of power.” No matter how Republican or libertarian a government might seem at any given moment, the corrupt could use the power structure of the state to form a conspiracy against the liberties of the people. All governments depend on power to enforce their wills. By its very nature, however, power always wants to expand; it has an “encroaching nature” and attracts the corrupt. If a people keep a vigilant watch, the chances of corruption and conspiracy might lessen, but the possibilities always exist. For Wood, one of Bailyn’s former students, Republicanism was much more than a political philosophy; it was, rather, organic, a lifestyle and a way of thinking. Republicanism, a utopian movement striving for the full reconstruction of society, explains Wood in his Pulitzer-Prizing winning book, The Radicalism of the American Revolution, represented a historical phase lodged between monarchy and democracy. This phase encompassed the time period surrounding the American Revolution and the first twenty-five years of the Republic. All educated Americans knew the histories of the Greek, Roman, and Italian Republics. They also knew that republics were inherently fragile. Only virtue, the sacrifice of the personal to the public good, could preserve a republic. Love, not fear, was to rule. Scholars know from Bailyn’s extensive work, and from the work done on other pamphlets, books, and sermons, that the ideas of Republicanism–whether classical (Pocock), libertarian (Bailyn), or utopian (Wood)–pervaded American society in the decades leading up to and reifying in the Revolution. Bailyn argues that the colonists believed God had created observable and recurring patterns. After the Seven Years’ War, Britain increased its control and taxation over the American colonies. The colonists, expecting conspiracies from those in power, believed these acts to be the historical unfolding patterns of tyranny. As Americans, they believed it was their duty to counteract that tyranny. Bailyn labels this “the logic of rebellion.” Wood finds evidence of Republicanism’s profound influence in the very structure of the Constitution itself. Others, such as Andrew Cayton and Alan Taylor, have found Republican ideas rampant in the early Republic, especially on the frontier. As one might expect, many historians disagree with the “Neo-Whigs,” especially their downplaying of the idea of Liberalism. Though Louis Hartz offered the consensus view of liberal history in the 1950s, the recent arguments have come from Joyce Appleby, Isaac Kramnick, and John Patrick Diggins. Appleby provides the most impressive defense of a liberal interpretation of the Revolution. While she does not deny the existence of the English Republicans, she claims their influence was far less than the Neo-Whigs believe. She argues that the development of the market was the essential force in seventeenth and eighteenth-century England. And, far from being an urban phenomenon, it spread quickly into the countryside, touching nearly everyone. The market changed man’s view of himself, taking him from the medieval to the modern world. The liberal intellectuals, living as contemporaries of the English Republicans, argued that English governmental policy must recognize the very nature of economic forces. “No People ever yet grew rich by Policies,” Sir Dudley North wrote. “But it is Peace, Industry, and Freedom that brings Trade and Wealth, and nothing else.” The liberals reached an intellectual consensus in the 1690s, basing it around Locke’s thought. Locke, who explained man in rational terms as the inheritor of rights, epitomized the classic liberalism of his day. Man, being of a uniform nature, he argued, worked out his problems on a voluntary basis, not out of virtue but out of self interest. The market, based on price, interdependence, and competition, Appleby contends, was antithetical to all Republican notions of what was right. Appleby argues that this Liberalism also played a far greater role than did Republicanism in the formation of American society. As it had done in England, the market transformed America. The result was an interdependence of one colonist to another, and, consequently, significant economic growth. Jack P. Greene notes that in addition to substantial population increases and demographic spread, the American colonies experienced overall economic growth through every decade of the 1700s. 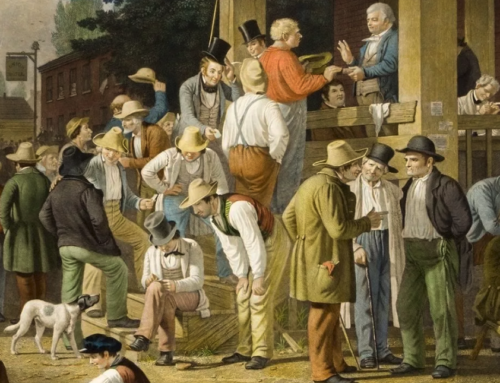 With its emphasis on voluntary social order and the subsequent increase in the complexity of society, liberalism and its desire for individualism seemed almost utopian, and the colonists overwhelmingly embraced it. When the British ended their period of salutary neglect, they hit the colonists at the fundamental level–their livelihoods. The response, tempered by materialist and intellectual concerns, was rebellion. As with the Neo-Whig historians who claim their best evidence of Republican influence is the institutions created after independence, Appleby makes the same claim, but for Liberalism. “If the Revolution was founded in a frenzy over corruption, out of fear of tyranny, and with hopes for redemption through civic virtue, where and when are scholars to find the sources for the aggressive individualism, the optimistic materialism, and the pragmatic interest-group politics that became so salient so early in the life of the new nation?” Appleby asks. Her answer, of course, is that life in the early Republic was more liberal than Republican. In her Capitalism and a New Social Order, Appleby claims that the Jeffersonians took up the mantle of Liberalism in the 1790s. Until the 1980s, such was the course of intellectual thought concerning the Revolution. For almost two centuries, as Appleby notes, most people interpreted the Revolution in Lockean Liberal terms. Caroline Robbins provided the early glimpses into non-Lockean thought. Critical of Robbins’s divisions of Whig and Tory, Pocock gave the profession the ideas of Court and Country. With the publication of Bailyn’s Ideological Origins, the concept of Republicanism gained firm and pervasive hold in the profession. In the 1970s, Appleby brought back the notion of liberalism. Until the mid-1980s, Republicanism and Liberalism remained antithetical to one another. A militant Protestantism and Gordon Wood’s understanding of the simultaneous existence of Republicanism and Liberalism provide the linchpins in our understanding of the Revolution. If we rightfully consider the religious relationship and Wood’s scholarship a new synthesis, then each step in the evolving nomenclature–Whig/Tory, Country/Court, Republican/Liberal–has provided us with vital pieces to the larger intellectual puzzle. I originally wrote this essay while in graduate school in 1995. So, please forgive any immature elements. 1. Franklin quote from Jack P. Greene, Pursuits of Happiness: The Social Development of Early Modern British Colonies and the Formation of an American Culture (Chapel Hill: University of North Carolina, 1988), 170; Edmund S. Morgan, The Birth of the Republic, 1763-89 3d ed. (Chicago: University of Chicago Press, 1992), 5. 2. Plumb, Growth of Political Stability, xiii-xviii. 3. Bernard Bailyn, “The Central Themes of the American Revolution: An Interpretation,” chapter in Essays on the American Revolution, ed. by Stephen G. Kurtz and James H. Hutson (New York: W.W. Norton, 1973), 9; and Rowland Berthoff, Essays to Honor Oscar Handlin (Boston: Little, Brown, 1979), 99-100. 4. Morgan, Birth of the Republic, 5-14; John M. Murrin, “Political Development,” chapter in Colonial British America: Essays in the New History of the Early Modern Era, ed. by Jack P. Greene and J.R. Pole (Baltimore: Johns Hopkins University Press, 1984), 408-56; and Bernard Bailyn, The Origins of American Politics (1967; New York: Vintage Books, 1970), 59-105. 5. Joyce Appleby, “The Social Origins of American Revolutionary Ideology,” Journal of American History 64 (March 1978): 935. 6. Quoted in Robert E. Shalhope, “Toward a Republican Synthesis: The Emergence of an Understanding of Republicanism in American Historiography,” William and Mary Quarterly 29 (January 1972): 49-50. 7. See, for example, Louis Hartz, The Liberal Tradition in America: Interpretation of American Political Thought Since the Revolution (New York: Harcourt, Brace, 1955), especially pages 3-66. For Hartz’s importance in the big scheme of things, see Daniel T. Rodgers, “Republicanism: The Career of a Concept,” Journal of American History (June 1992): 13. 8. Caroline Robbins, The Eighteenth-Century Commonwealthman: Studies in the Transmission, Development, and Circumstance of English Liberal Thought from the Restoration of Charles II until the War with the Thirteen Colonies (Cambridge, MA: Harvard University Press, 1961), 4, 335-44. 9. J.G.A. Pocock, “Machiavelli, Harrington, and English Political Ideologies in the Eighteenth Century,” William and Mary Quarterly 22 (October 1965): 549-83. 10. Joyce Appleby, “Republicanism and Ideology,” American Quarterly 37 (Fall 1985): 463; and Michael P. Zuckert, Natural Rights and the New Republicanism (Princeton: Princeton University Press, 1994), 152-75. 11. J.G.A. Pocock, ”A Virtue and Commerce in the Eighteenth Century,” Journal of Interdisciplinary History 3 (Summer 1972): 120. An excellent but overwhelming alternative to the Neo-Whig interpretation of Republicanism is Paul A. Rahe, Republics Ancient and Modern: Classical Republicanism and the American Revolution (Chapel Hill: University of North Carolina Press, 1992), especially sections 1 and 3. Republicanism can be found in two forms: militaristic and commercial. All modern Republics, including America’s, are based on commerce. 12. Pocock, “English Political Ideologies,” 563-6, 567-9. See also, J.G.A. Pocock, The Machiavellian Moment (Princeton: Princeton University Press, 1975); and J.G.A. Pocock, “The Machiavellian Moment Revisited: A Study in History and Ideology,” Journal of Modern History 53 (March 1981): 49-72. 13. Bernard Bailyn, The Ideological Origins of the American Revolution, (Cambridge: Belknap Press, 1992), 55-6. 14. Gordon S. Wood, The Radicalism of the American Revolution (New York: Knopf, 1992), 95-225. 15. Bailyn, Ideological Origins, 94-143. Many historians have taken issue with Bailyn’s “intellectual determinism.” See Peter S. Onuf, “Reflections on the Founding: Constitutional Historiography in Bicentennial Perspective,” William and Mary Quarterly 46 (April 1989): 351; Jack P. Greene, “Why Did They Rebel?”, The Times Literary Supplement (20 June 1994), 3; Kenneth S. Lynn, The Air-Line to Seattle: Studies in Literary and historical Writing about America (Chicago: University of Chicago Press, 1983), 189-90; and John Patrick Diggins, “Comrades and Citizens: New Mythologies in American Historiography” American Historical Review 90 (June 1985): 629-30. For a good discussion of British efforts to impose controls on the colonies, see Edmund S. And Helen M. Morgan, The Stamp Act Crisis: Prologue to Revolution (1953; New York: Macmillan, 1963), especially part 1; and Robert Middlekauff, The Glorious Cause: The American Revolution, 1763-1789 (New York: Oxford University Press, 1982), especially pages 70-152. 16. Gordon S. Wood, The Creation of the American Republic, 1776-1787 (1969; New York: W.W. Norton, 1972). Forrest McDonald disagrees. They fail, he claims, to distinguish between the varying types of Republicanism and the liberty to and the liberty from, they ignore the Scottish thinkers and the communitarianism/individualism debate, and they dismiss Lockean Natural Rights and Natural Law too quickly. Novus Ordo Seclorum: The Intellectual Origins of the Constitution (Lawrence: University Press of Kansas, 1985), especially 70-7, 87-9. 17. Andrew R.L. Cayton, The Frontier Republic: Ideology and Politics in the Ohio Country, 1780-1825 (Kent, OH: Kent State University Press, 1986), 1-32; Alan Taylor, “A Kind of War: The Contest for Land on the Northeastern Frontier, 1750-1820,” William and Mary Quarterly 46 (January 1989): 3-26. 18. Quoted in Joyce Appleby, “The Social Origins of American Revolutionary Ideology,” Journal of American History 64 (March 1978): 944. 19. Lance Banning criticizes Appleby for making a “straw-man” of the Neo-Whig historians. See Lance Banning, “Jeffersonian Ideology Revisited: Liberal and Classical Ideas in the New American Republic,” William and Mary Quarterly 43 (January 1986): 6-7. 20. Greene, Pursuits of Happiness, 177-85. See also John J. McCusker and Russell R. Menard, The Economy of British America, 1607-1789 (Chapel Hill: University of North Carolina Press, 1985), 351-77. David J. Weber notes that by 1800, the small American nation produced twice as much economically as all of New Spain. See Weber, The Spanish Frontier in American (New Haven, CT: Yale University Press, 1992). 21. Joyce Appleby, “Liberalism and the American Revolution,” The New England Quarterly 49 (March 1976): 3-26; and Joyce Appleby, “Republicanism and Ideology,” American Quarterly 37 (Fall 1985): 461-73. David Hackett Fischer, Albion’s Seed: Four British Folkways in America (New York: Oxford University Press, 1989),199-205, 410-18, 595-603, 777-82, argues desire for liberty was nurtured in Britain and brought to America as four folkways. 22. Appleby, “The Social Origins,” 937. 23. Joyce Appleby, Capitalism and a New Social Order: The Republican Vision of the 1790s (New York: New York University Press, 1984), especially chapter 4. Diggins argues a similar point, but stresses that America was a unique combination: liberal and conservative Protestant. “Liberalism had given the American male the inalienable right to be free, become rich, and escape his marital vows, while Calvinism insured that he could do none of these without experiencing guilt.” Diggins, “Comrades and Citizens,” 614. 24. Morgan argues that a strain of Puritanism and the work ethic entered Republicanism as an anti-liberal (commercial) force. See Edmund S. Morgan, “The Puritan Ethnic and the American Revolution,” chapter in The Challenge of the American Revolution (New York: W.W. Norton, 1976), 88-138. 25. Patricia U. Bonomi, Under the Cope of Heaven: Religion, Society, and Politics in Colonial America (New York: Oxford University Press, 1986), 222. One scholar, J.C.D. Clark, has recently argued that the Revolutionary War was actually a Civil War, the last war of the Reformation. See J.C.D. Clark, The Language of Liberty, 1660-1832: Political Discourse and Social Dynamics in the Anglo-American World (Cambridge: Cambridge University Press, 1994), 296-339. Jon Butler argues just the opposite in his Awash in a Sea of Faith: Christianizing the American People (Cambridge, MA: Harvard University Press, 1990), 195. 26. Wood, Radicalism of the American Revolution, 232, 325; and Gordon S. Wood, “The Significance of the Early Republic,” chapter in New Perspectives on the Early Republic: Essays from the Journal of the Early Republic, 1981-1991, ed. by Ralph D. Gray and Michael A. Morrison (Urbana: University of Illinois Press, 1994), 14. Isaac Kramnick makes a similar point in his Republicanism and Bourgeois Radicalism: Political Ideology in Late Eighteenth-Century England and America (Ithaca: Cornell University Press, 1990), 294. Wood explores the role of religion in the American Revolution further in his “Religion and the American Revolution,” paper delivered at the Indiana University Law School, Spring 1995. I wish you would use the term "pseudo-republicanism". What you describe in the article and what happened in America is not true republicanism of classical antiquity. I don't know why Rahe and yourself keep using the term "republicanism" as if it is true. It is not! You need to insert the adjective "pseudo-" in order to describe the form of government. Try being more scientific. What Cromwell in the English Civil War attempted and what the FFofA did was the corruption of the term. Look at any dictionary and you will find this definition: A republic is any government without a king. That is BS. An aristocracy without a king is not a republic. You've got it all wrong. "And our democracy and republican form of government as well". Let me ask you, when Rush Limbaugh, who considers himself a "conservative's conservative" and the leader of conservative America, calls himself "Dr. of Democracy", how can you square the circle with "…and to the Republic for which it stands…"? Isn't there a lot of cognitive dissonance out there? Did Aristotle make that mistake? Was a politiea confused with democracy in Aristotle? I don't think so. Why are Americans, and political scientists such as Susan McManus, PhD, call America a democracy? Why does Clinton and Bush call this country a democracy? But in the Pledge of Allegiance and in documents the word "republic" is used? Is the term "republic" synonymous with the word "democracy"? So why have two words that mean the same thing for? Is this what was meant by the phrase "Roman Republic"? If the Roman Republic had an aristocracy–and it was a republic—how come later, modern republics deny aristocracy? I like how Rahe in his book, Against Throne and Altar, references THREE Romans that start their republic under kings, modern republics deny and actually kill kings! I must have been the first out there, before Rahe, to know that Cicero started the republic under kings. Here is the discrepancy. I was meaning to write an article about Prof. Rahe and his use of the term republic in his most recent book. If John Aylmer saw the parallel between Tudor government and Sparta, and Sparta being a True Republic, and another writer uses the term "Republica Anglorum" for Tudor government—How come Prof. Rahe uses the term "English republicanism" for the rebellion against the Tudor form of True republican government? What is this cognitive dissonance in America? Can you have a democracy and republic at the same time? So what is a politiea that the Romans translated as "republic"? Do you guys even know? Popular government, and popular sovereignty is not "republicanism"! Everybody followed the propaganda of Machiavelli and Lorenzo Valla! What went on by the FFofA would NOT be recognizable by either Plato, Aristotle, or Cicero! You can not have Tudor government being a "Respublica Anglorum" and then Cromwells rebellion labelled a "commonwealth"! That is an oxymoron! I thought political science was a "science"! Science deals with right definitions. P.S. Thank you for the well wishing, but I'll probably avoid "pseudo-republicanism" as it just seems a tad unwieldy and a bit too ideological. So if these were the factors that lead to the revolution (anti-Catholic protestantism, materialism, etc), where on earth does that leave us Catholics, let alone our non-materialist, monarchical history? Yes, when modern pseudo-republicanism was used to destroy the Catholic monarchy of France and when the American republics president Woodrow Wilson demanded the abdiction of the Catholic Hapsburg Emperor and the legitimate Monarchs and princes of Germany (some who were Catholic like the 800 year old Bavarian monarchy), and when the Republic of United Soviet Socialist states genocided the Orthodox Christian Royal Family of Russia, why are Catholics upholding a Masonic creation of America for? Whether one endorses a republic as such is a different question. As always, Dr. Birzer, well done!